Often one hears this line or its ilk—Koi bhi insaan apni maa ki kok se mujrim bankar paida nahi hota—in the movies. The sentiment’s worn out, mocked at reputation has undermined the heft of its authenticity. 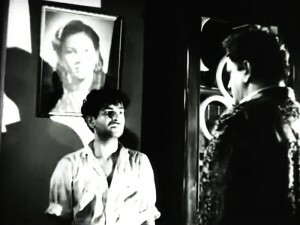 Raj Kapoor’s 1951 classic, Awara explains the resentment behind the much-derivative dialogue with creative might and deft intensity. 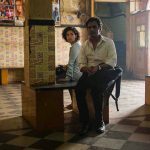 Following his impressive vision in Aag and Barsaat, the filmmaker tests his range of ambition with the grand and gritty, Awara. What makes this wholesome classic, ranked among Time’s 100 all-time greats and Grand Prize nominee at the Cannes Film Festival in 1953, worth visiting again (and again) is to marvel at how ingenuously RK stages the conflict of a young man’s emergence from an erosive social-environmental conditioning, his willingness to seize the nobility he was actually born in against a backdrop of a tempestuous courtship and persistent play of conscience. That’s an awful lot to convey in a little above 180 minutes but RK, facilitated by stalwart writer Khwaja Ahmad Abbas’s brimming brilliance, accomplishes this feat with drama and delicacy. Like Aag, Awara is a script laden with ironies and told in flashback. Here, Prithviraj Kapoor plays an influential advocate Raghunath, later judge, responsible for a bandit Jagga’s (K N Singh) sentence simply because he believes a criminal’s descendant is, by default, a criminal. In retaliation, Jagga abducts Raghunath’s pregnant wife (Leela Chitnis) and then sends her back unharmed after a few days with a nasty, long-term agenda. And while Raghunath is liberated enough to marry a widow and upset his father, he immediately doubts her fidelity when provoked by a small-minded relative (Leela Mishra) with the standard ‘Sita facing agnipariksha’ logic. And so one rainy, thundering night, he throws her out of his house even as the eager camera (by Radhu Karmakar) accusingly examines the dark suspicion on Prithviraj’s volatile face. This is precisely how Jagga means to exact justice (or revenge). When he discovers Raghunath’s family residing in slums, his wife struggling to make ends meet, their son Raj (a young Shashi Kapoor) polishing shoes to pay his school feels only to get expelled anyway, he plays on the boy’s vulnerability and mentors him into a life of stealing. Can the product of noble blood prove his moral fibre when tossed in the face of hardships and starkness, investigates Awara. 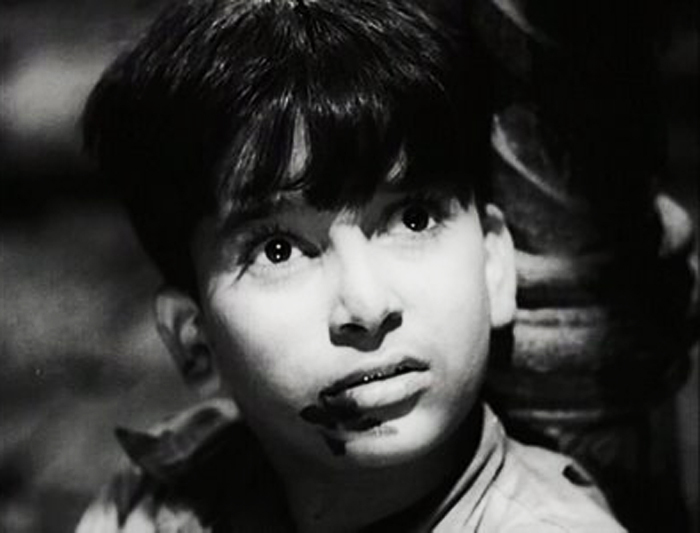 After Aag and Awara, it is safe to say Shashi Kapoor has done some of his best work as a child artist. He generates enormous sympathy for the young Raj holding on to his sense of idealism through his mother and best friend until the ugliness hits him all too hard. That moment of transition comes early in a poignant scene where he pretends to have eaten and enjoyed the meal even though there’s not a morsel in the kitchen but he hasn’t got the heart to tell his hungry, out of her mind mother the same. Awara’s international fervour is well documented in glorious clips of the showman and his co-star Nargis’s visit to Russia. No wonder he doffed his “laal topi” to the country with the evergreen Mera joota hai Japani track from his subsequent, Shree 420. Speaking of Kapoors, it must be noted (long before Kal Aaj Aur Kal) Awara brings together not three but four generations of the family in one film. Other than RK, his kid brother Shashi, the classic stars his father, Prithviraj and grandfather Dewan Basheswarnath (playing the judge in the courtroom sequences, credited as Grand Pa in the opening titles). 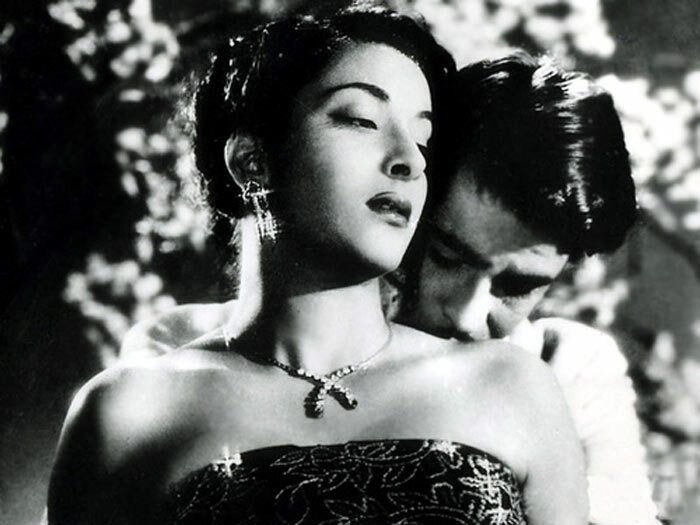 Even though Kapoor is the focal point of the story, his frequent ladylove on celluloid—Nargis is the reason behind its splendour and spirit. If the framed picture from her childhood days acts as a strategic reminder of Raj’s long-lost innocence, her allure as a gorgeous grown-up fills up his dishonest ways with hope and luminescence. Their chemistry is erratic, smothering, forceful and undisguised. Such transparency of their ardour is both appealing and fierce. From the light-hearted moments of her mistaking him to be a piano mechanic to the warm re-discovery of their childhood bonds to the aggressive display of intimacy on the iconic beach sequence, RK and Nargis portray love like never before, never after on screen. The part where she refers to him as ‘junglee’ triggers momentary violence in his docile manners. Insulted, he slaps her hysterically bringing Awara in a space that may or may not work for the viewer. Brutish behaviour makes way for postcard romance on the boat, a simple exchange of hmms and huhs, some loving glances and the lilting melody –Dum bhar jo udhar munh phere, o chanda, main tumse pyaar kar loongi. He’s a thief, she’s a lady, it’s what Richard Gere calls an “impossible relationship” and the distinction is beautifully brought out in the birthday scene –when Rita discovers the lovingly gifted necklace from Raj is a stolen piece from the empty box her uncle (Prithviraj Kapoor) hands her. Nargis is bewitching as the woman in love with varying avatars—the sprite of Bollywood’s most extravagant dream, seductive siren on the beach or determined lawyer defending her sweetheart in the courtroom. 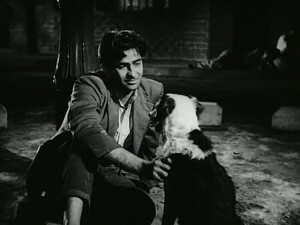 As for the Awara himself, Raj Kapoor translates the anxiety, desperation and bitterness of a man vacillating between right and wrong with his piercing blue eyes and a wry sense of humour. More than the scamp crooning the defining Awara hoon it’s the depth of his wounded words when he asks a passer-by, “Apna raasta dekhoon? Kaunsa raasta?” that’s truly hard-hitting. It’s amazing to notice just how almost every scene, face off, plot point or dialogue has been reproduced in films to follow since. 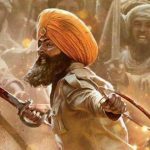 Given the entire premise of Awara is to highlight the anger towards social disparities which Raj cannot completely fathom or get used to, one expects a climax loaded in histrionics and redemption. And Raj Kapoor doesn’t disappoint. Awara, based on V P Sathe’s story, is a triumph in filmmaking. As the first film shot in the freshly constructed RK Studios, the showmanship is evident in its clever frames, tantalising treatment and meaty content. And yet, none of its magnificence is for the sake of it. The 1951 classic, which alternates between sets and slums, employs every venue to encapsulate the varying ambiance of social hierarchy. 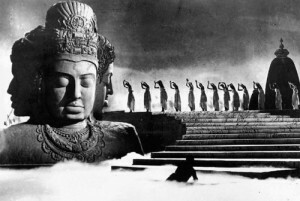 Ghar aaya mera pardesi, an imaginative dream sequence marrying art design and choreography by French dancer Madame Simki (a disciple of the legendary Uday Shankar) works both—as a channel for surreal symbolism as well as a striking reflection of Raj’s deep-rooted insecurities. And if you have an eye for detail, you might catch Helen as one of the extras in the song. While on songs, Shankar Jaikishan composes the voluminous 11-track album featuring the contribution of Shamshad Begum, Lata Mangeshkar, Mukesh, Mohammad Rafi and Manna Dey. One can even catch refrains of Pyaar mein sauda nahi (Bobby) or O Basanti pavan pagal (Jis Desh Mein Ganga Behti Hai) in the background music of Awara. What’s incredible is how every single one, written by Hasrat Jaipuri and Shailendra, is not merely an exercise in melody or verse but also flawlessly communicates a character’s frame of mind. Be it Ek bewafa se pyaar kiya or Hum tujhse mohabbat karke sanam rote bhi rahe, hanste bhi rahe. While that’s reassuring here’s something even more pleasant. There’s a strong possibility that Awara may soon hit the marquees in all its colorised and digitally restored glory. This entry was posted in Classics, Columns & Reviews and tagged 1951, awara, black and white, cannes, classics, films, hindi cinema, k a abbas, k n singh, leela chitnis, nargis, prithviraj kapoor, raj kapoor, time magazine. Bookmark the permalink.